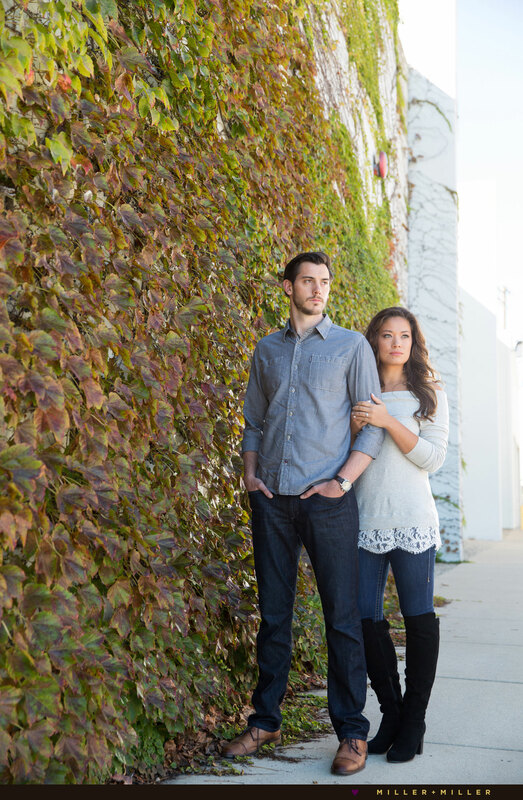 It has been great getting to know John + Julie who booked us as their wedding and Chicago engagement photographers. 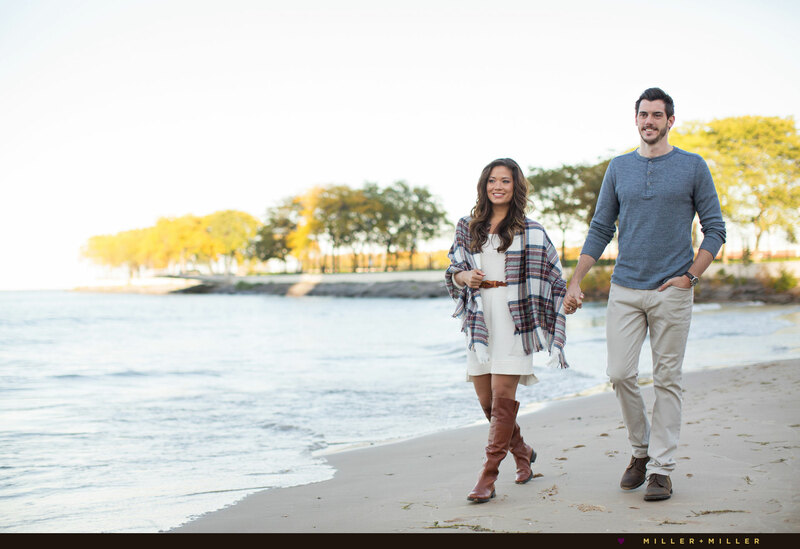 J+J decided on the Fall season and set October dates for both their Chicago engagement photos and the wedding day. 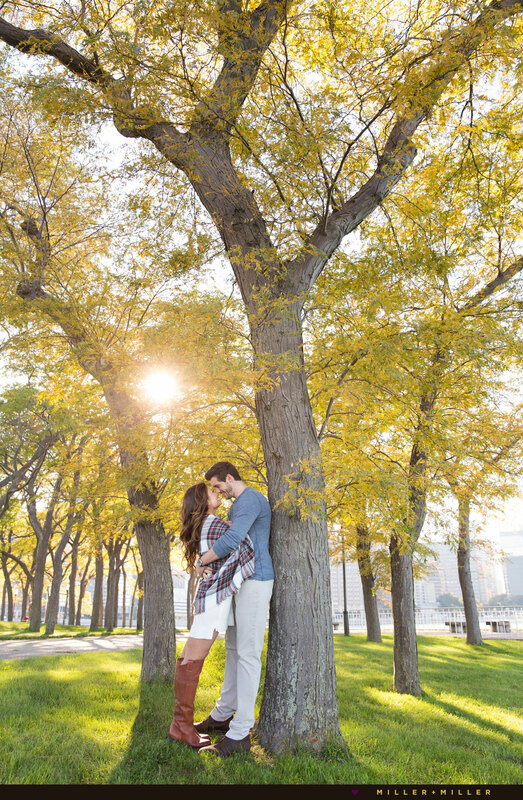 For John + Julie’s downtown fall season engagement session, we narrowed in on two primary focuses of nature and skyline photos along the Chicago Riverwalk. 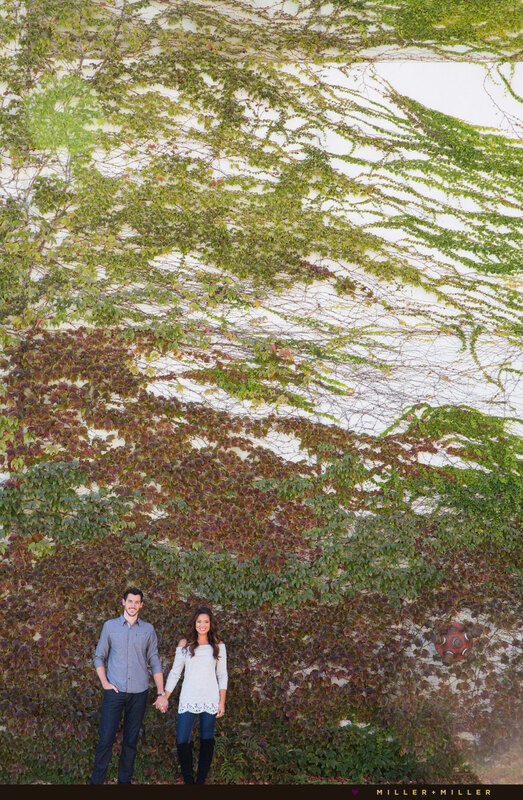 After learning about John’s engagement proposal by the water, we looked to photograph the fall nature portion of the engagement photo shoot at the beach with the colorful leaves changing for the Fall. And later after dark for our Chicago’s skyline engagement photography focus, we headed downtown to the Chicago Riverwalk nearby John and Julie’s riverfront wedding reception venue of River Roast. 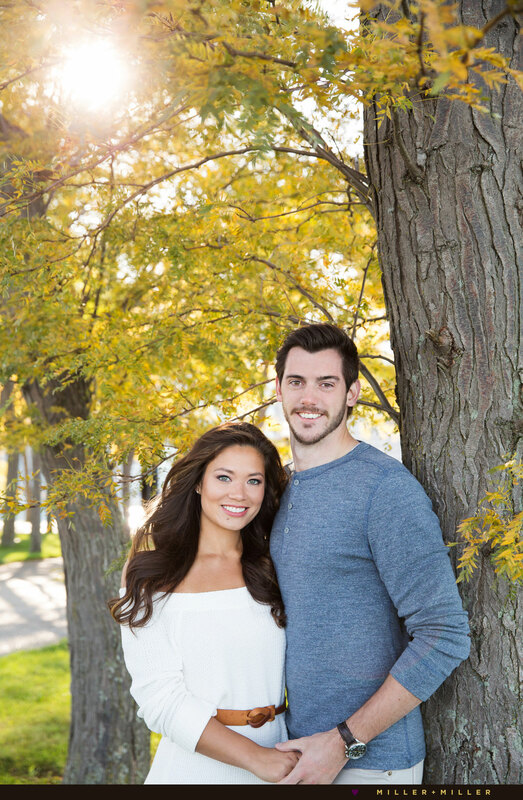 Engagement sessions along the newly renovated Chicago riverfront provide an unforgettable backdrop. Surrounded by numerous buildings and downtown hotels, we love capturing evening night photos with the waterfront’s lights bouncing and reflecting off the water along the river. Chicago’s urban cityscape is without a doubt the most romantic after dark and the new riverwalk offers one-of-a-kind Chicago style backdrop especially great for those who want more Chicago night skyline engagement photos and night photographs. Along the riverwalk, Chicago’s best photography views, architecture, and dramatic night lit buildings were 360 degrees around us. 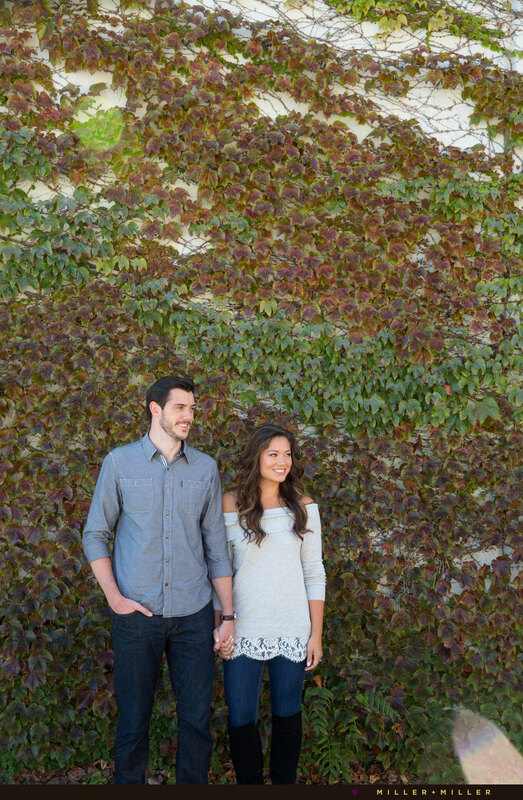 We love personalized engagement photo shoots. 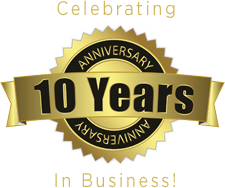 Often our clients consider choosing a location that is special to their relationship. 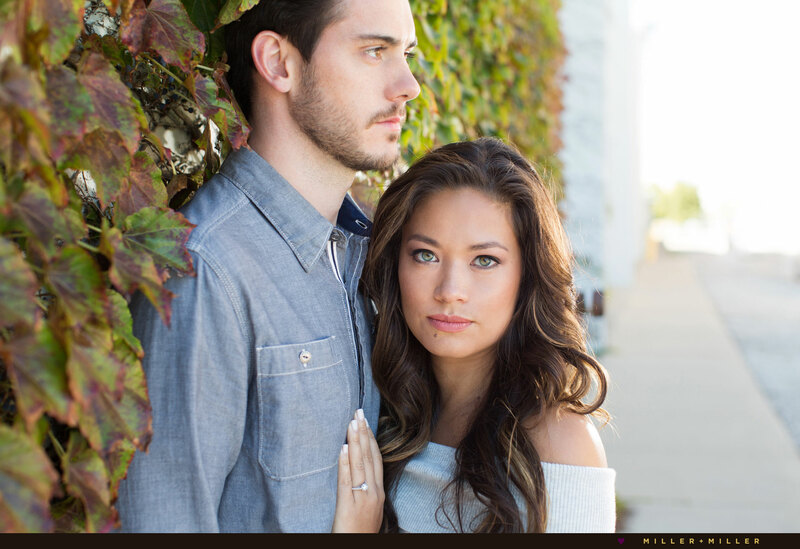 The shoot’s location may retell a part of the romantic proposal, preview for wedding guests the location of the upcoming wedding events, or occur in a urban neighborhood frequently visited or creative near their home. For Julie + John, they decided on engagement photos near the Chicago River which is both a favorite part of town for J+J and is also ideal as it’s provided a backdrop location of their wedding day reception venue. 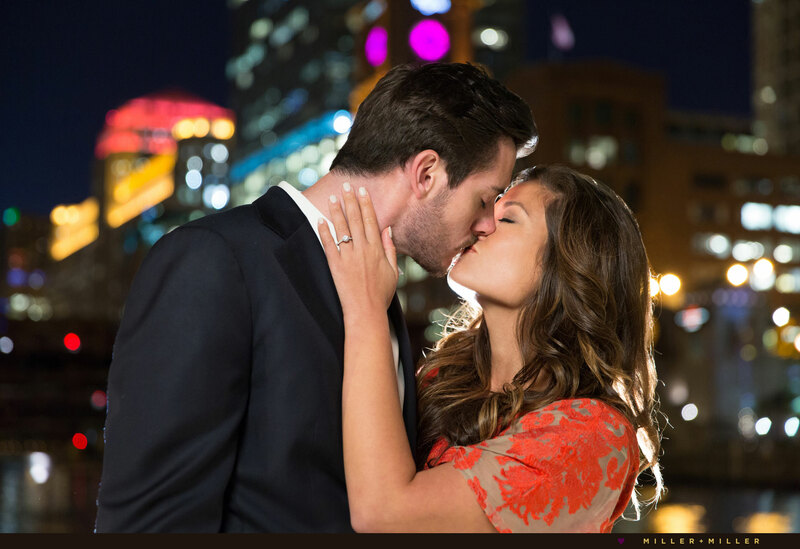 Julie provided details about her Chicago skyline proposal and being surprised the day John proposed. 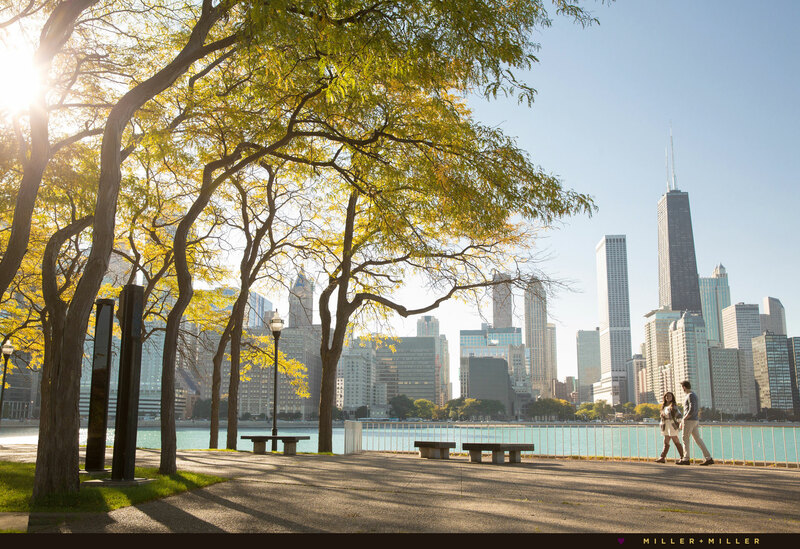 ♥ John + Julie’s Chicago wedding ceremony at Immaculate Conception St Joseph Parish Church on Orleans Street and reception near Chicago’s riverwalk at River Roast Chicago on LaSalle Street in the Reid Murdoch Building will occur this Fall. Family and friends will be traveling from the bride’s hometown of Naperville and the Groom’s Indianapolis for the wedding activities. 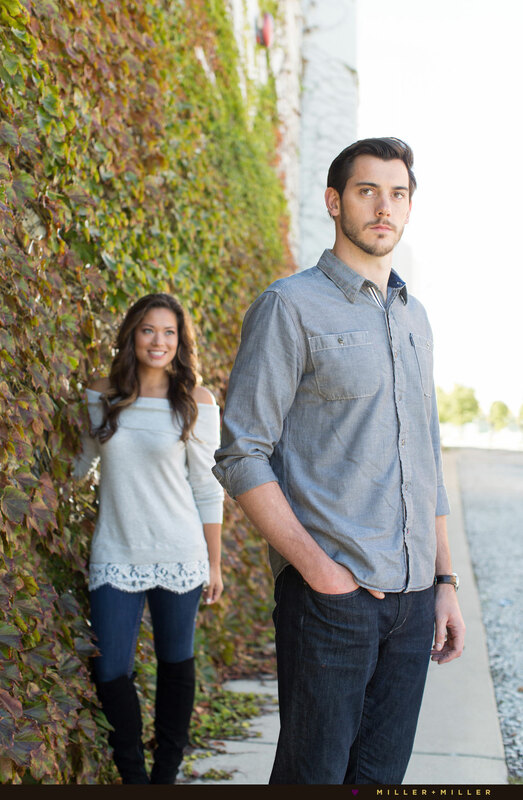 If you’re engaged and looking for a Chicago wedding and engagement photographer, email us via our contact page. 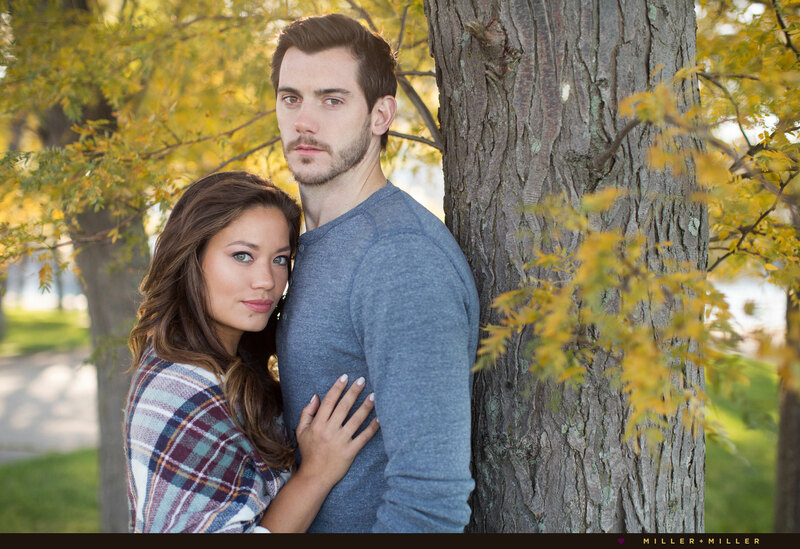 We can’t wait to hear about your wedding day plans and engagement photography ideas.